Soon after its debut at the time of the Civil War, the Gatling gun changed the nature of warfare and the course of world history. Discharging 200 shots per minute with alarming accuracy, the world's first machine gun became vitally important to protecting and expanding America's overseas interests. 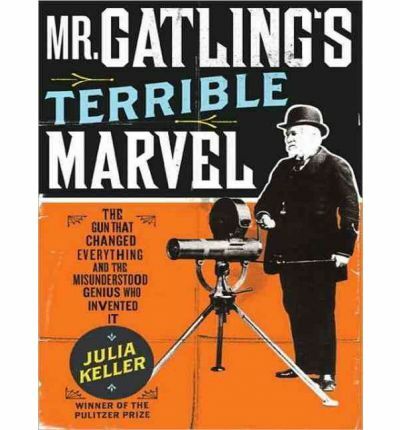 Its inventor, Richard Gatling, was famous in his own time for creating and improving many industrial designs, from bicycles and steamship propellers to flush toilets, though it was the gun design that would make his name immortal. A man of great business and scientific acumen, Gating used all the resources of the new mass age to promote sales across America and around the world. Ironically, Gatling actually proposed his gun as a way of saving lives, thinking it would decrease the size of armies and, therefore, make it easier to supply soldiers and reduce malnutrition deaths. The scientists who unleashed America's atomic arsenal less than a century later would see it much the same way.